This was also a major part of the fact that the day of St. Stephen's day was very difficult to recognize and to re-integrate in modern culture. After the Compromise, the Parliament has argued for years over whether to raise St. Stephen's Day as a national celebration or not. Between the two world wars, there was simply no money for large celebrations such as this, however, at the end of the 1920s, St. Stephen's Day was once again celebrated with the launch of the national flag and the Holy Procession. Rockets were launches from the Gellért Hill as well. The Eucharistic World Congress was held in 1937. 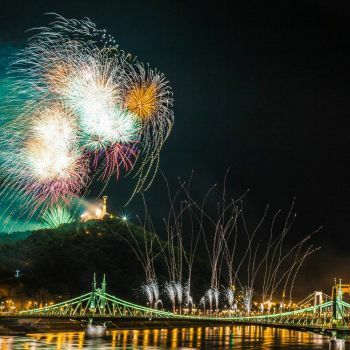 At this time it was the most spectacular fireworks of the history, completed with a boat parade . At the top of the Gellért Hill, a 50 meter high Bengal light illuminated cross was placed. 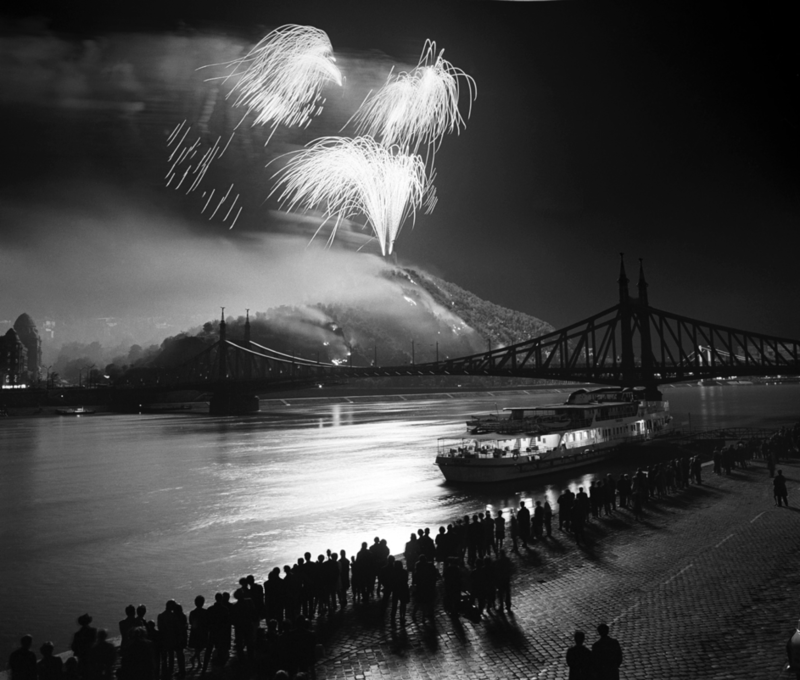 For a time, the celebration was again on pause, but in 1954 and 1955 a grand visual parade was organised, which was also remembered by the colourful lightning-rockets from the Gellért Hill. After 1956, fireworks were banned for ten years. In 1966, the Kádár system brought back the old tradition. In 1991 the National Assembly declared the day a public holiday. Ever since, the fireworks that night have been arranged every year in similar form and only natural disasters could limit the attraction. This summer the fireworks will be more spectacular than ever before. The expectation is around 600,000 attendees. The main colours of the evening will be red, white and green after our national flag, together with gold.